Brain octane is a concentrated source of medium chain triglycerides, providing you with the purest energy source possible. Brain Octane rapidly provides mental and physical energy, powering your day by keeping you satisfied and free from food cravings. Add it to your daily routine, and experience the state of high performance. As soon as you consume Brain Octane, it is rapidly absorbed and changed into ketone bodies – providing instant energy to the brain without breaking down glucose from sugars or carbohydrates. Brain Octane produces 4x the ketone energy of plain coconut oil, and also supports healthy digestion and immune function. Experience the power of using quality fats for fuel, keeping you full and focused for hours! Matcha is a super potent type of green tea, that is high in antioxidants, as well as fat soluble L-theanine. Theanine promotes relaxation and alertness – working together with caffeine (which is also found in matcha) to enhance endurance, and memory, and reaction time. What sets matcha apart from other green teas, is that it is grown in the shade. It just so happens that shade-grown green tea is typically much higher in L-theanine, so this is just another reason to choose matcha over regular green tea! 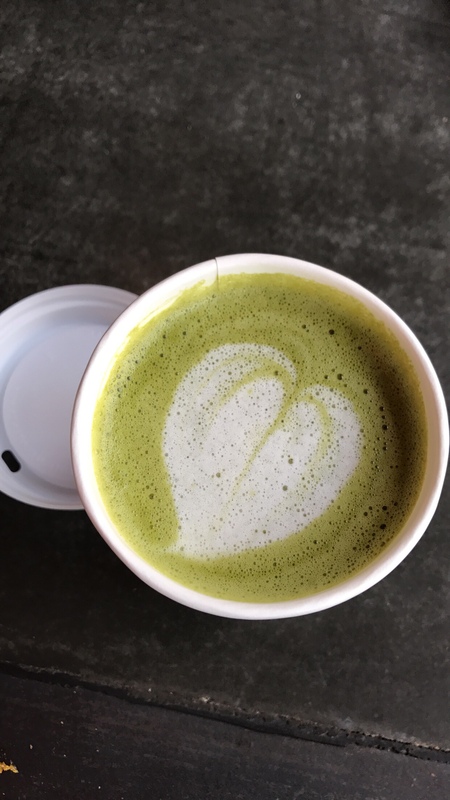 If you’re looking for a truly GOOD coffee alternative, bulletproof matcha could be a great choice for you. Or, if you just love superfood tea lattes and want to give this beautiful green drink a taste – I highly recommend it. Matcha is very high in antioxidants and mind-calming amino acid (L-theanine), coconut milk and oil both provide a quick source of energy. Enjoy a cup for breakfast, afternoon snack or on a fat fast- it’s a liquid fat bomb with 94% of calories from healthy fats. •	½ Cup (4 oz) of Hot Water. 1. Heat the almond milk until warmed through. 2. In a blender, combine the matcha, hot water, MCT oil, butter and sweetener. Blend until combined and pour into a mug. Top with frothed almond milk if desired. •	If you are new to matcha, start with just ½ tsp matcha powder and add more to taste. •	Make sure you use liquid coconut milk, do not not use coconut cream or creamer coconut milk. •	Avoid using coconut oil if making ice latte – coconut oil will solidify in cold drinks.